Carpets are usually the most preferred flooring options in commercial offices. Carpets provide slip prevention and sound proofing. But over a period of time carpets may start showing signs of wear and tear. However, they also have the tendency to accumulate soil. Therefore, office carpet cleaning should never be neglected. It is necessary to keep your workplace hygienic and your employees healthy. Nothing leaves a poorer impression than stained and dirty office carpets. Your brand image significantly depends on the cleanliness of your office. Read on to find out how to maintain the carpets at your workplace. If you truly want to elongate the lifetime of your office carpets, you must take measures against soil prevention. A routine maintenance program ought to be followed. To achieve this, it is imperative that you keep the outdoor passage clean so that the employees or guest do not carry a trail of mud inside the carpeted room. Mats should be placed outside the room. Mats with nylon fibers are effective at absorbing moisture. However, you may have observed that sometimes despite the entry mats, footprints still carry dust. To prevent this, the entry mats should be large —big enough for a person to take two small strides before entering the office. Next, you should vacuum the carpets daily to extract the dust away. If something gets spilled on the carpets, then its spots should be removed immediately before permanent stains are imprinted. In spite of the carpet maintenance, you will still require excessive carpet treatments. Certain common carpet cleaning methods are effective at maintaining the appearance of the office carpets. Pile lifting is a popular method that breathes life into the carpets. The efficacy of the pile lifters is great even at the high traffic areas. This is because it removes even the most deep-seated dirt from the carpets. If your carpets are extremely dirty, you can also go for hot extraction cleaning, which will clean the carpets impeccably, leaving your office carpets blemish-free. You must call a professional carpet cleaning company for pile lifting and hot water extraction. These processes are intricate and require technicians to execute the tasks efficiently. Commercial carpet cleaning should only be done by trained professionals. 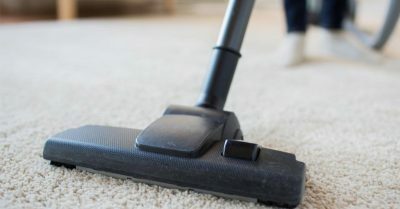 Carpet restoration and deep cleaning make use of steam and robust mechanisms, which require precise handling of the equipment. Furthermore, trained technicians will also follow the guidelines of the carpet manufacturers in the mind before performing carpet cleaning. Extra Hand Services have made a mark in the janitorial and carpet cleaning industry. We offer reliable carpet cleaning services to commercial clients. Our experts also provide additional spot cleaning services. So, if there are hard-to remove stains in different areas of your office carpets, we will make sure that our efficient cleaning tactics can get rid of them. If you want to avail our deep carpet cleaning or dry carpet cleaning services, call us at 816-396-6234.